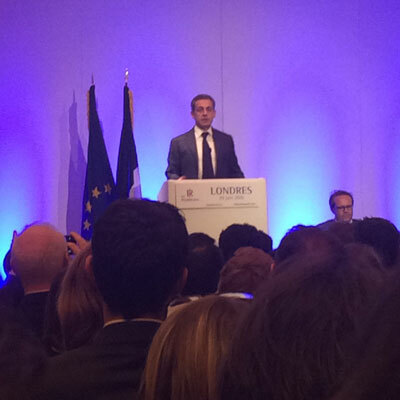 Nicolas Sarkozy was in London on 29 June for an exceptional meeting about the European Union. He met the French community a few days after the EU referendum. 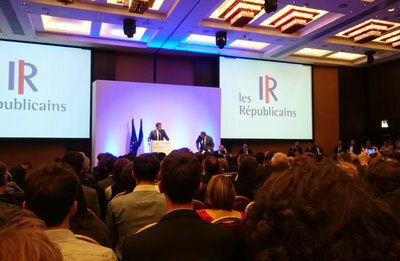 The leader of the French party Les Républicains presented his ideas to redesign the European project to his supporters. The EU referendum result was no surprise for Nicolas Sarkozy, but it was alarming. For the former French President, the UK should not rest on its laurels and quickly start the process to leave the EU. “We must get rid of this ambiguity” he stated. “You cannot be one foot inside and the other outside.” However, Les Républicains’ leader thinks the Franco-British friendship should not suffer from it. “Brexit will not change this situation” he specified. Creating Schengen II. The current Schengen area needs to be reorganised. The Home Office Ministers will vote for a “reliable President” to lead the Eurogroup, “who can only be French or German” he said, “because these countries represent 50% of the European GDP”. Creating a European Monetary Fund, to stop IMF interference. Sort out the EU’s priorities. “The European Union deals with too many things”. This is why he proposed to gather 8 or 10 priority topics on the Brussels’ agenda and let the States deal with the others at a national level. Changing the European Commission’s rules, “which cannot continue to be a leader on the executive, legislative and judiciary levels” he said. National Parliaments must have their say on European laws. Stopping the EU’s enlargement as long as the EU has not been modified. “Ten months from now, after the election of the new President, France and Germany will need to rebuild Europe” Nicolas Sarkozy stated. Nicolas Sarkozy said, answering a question from the audience, that he will not call into question the free movement of people and goods in Schengen II. “But this will not apply to extra-community migrants” he continued. Only the countries which will be able to deal with their borders will be part of Schengen II, he said, citing the example of Greece, where the migrants arrive with ease from Turkey. 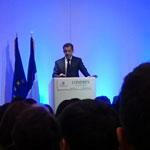 All the countries from the Eurozone should adapt their immigration policy, Nicolas Sarkozy claimed. And they should all have the same social benefits so that the migrants will not move to a country for its subsidies but for the opportunities it offers.